You gotta know some heavy stuff in order to build cool cars. Get your learn on. The CIDEA company released this fascinating video documenting the build of a quarter scale model of a 1927 Miller 91 Race Car. They showcase the four currently used methods of 3D printing plastic parts from CAD models. There’s definitely a lot more out there than just a desktop MakerBot (they are awesome, too). This is what the future of manufacturing and innovation is going to look like. It’s going to be awesome for people who like to make things. 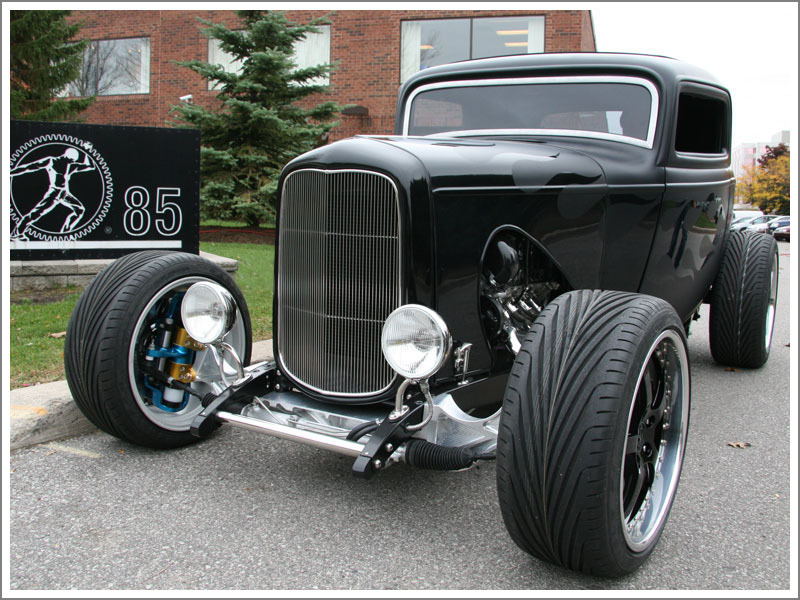 The folks over at Rod Authority are starting up a 1936 Ford 5-window project car. This is footage that they took at Total Cost Involved Engineering as the artisans there assembled the performance chassis that will be the foundation of their new project. Who says quality craftsmanship in America is dead? Head over to the Project Flat Out page to keep up with the build. X-Games Skysurfing gold medalist and professional aerial stuntman Troy Hartman has created his own take on powered human flight. We still don’t have the technology to do a direct propulsion jetpack like The Rocketeer, but microturbines are now good enough for aerodynamic lift. Swiss pilot Yves Rossy decided to attack the problem with a rigid wing that he strapped to his back. Rossy’s goal was to be able to use his body as the control surface to steer his version of the jetpack. Hartman’s approach uses a traditional skydiving parachute for lift and steering while wearing two turbines on his back for power. Where Rossy is a human airplane, Hartman’s design is more akin to a human ultralight. Footage from Hartman’s phase 2 testing looks pretty promising. His design looks like it would be cheaper, safer and more intuitive to use for the average person who doesn’t have years of experience as a pilot.